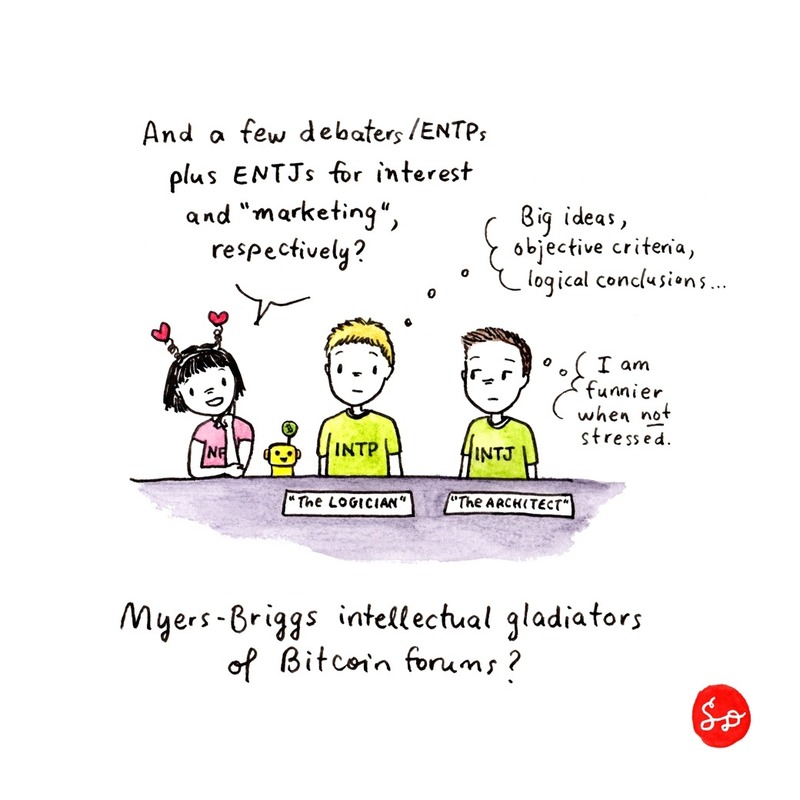 Whether or not you believe that the Myers-Briggs Type Indicator is useful (or a crock of s**t), it can be insightful (at best) and entertaining (at least). I came across an old and funny poll on a bitcointalk.org thread here. If you haven't "typed" yourself, here is an unofficial questionnaire that may or may not shed some light on your "type". Personally I have found that the most helpful section of results was an increased awareness of one's strengths and weaknesses.